Need or have an idea for a web application. I will build your MVP or minimal viable product. Got an idea for a killer app? Need to test an idea with a MVP (Minimal Viable Product)? Hi, my name is and my email address is . Please contact me as my business has a great idea for an application . I will convert your idea into reality and get it launched quickly, securely, and on budget. The code behind the scenes is written with craftsmanship that can be easily inherited by another expert or by full-time employees after you get funding. Pretty darn fast. Of course, this is going to depend on many factors, which we'll discuss. But considering that I'm an expert in propelling MVPs I can get this idea turned around fast. Not at this time. My business specializes in implementation and doesn't have the bandwidth to take up the investment side of things. That said, being a business owner myself who has launched products I will consult your business in many areas like marketing, competitors, and of course build cost. My desire is to partner with you to so that your app makes bank. What is your street cred? GasketGuy of Atlanta, Georgia had an idea to revolutionize the way gasket repair shops do business. We partnered to make a special app completely tailored for this vertical market. 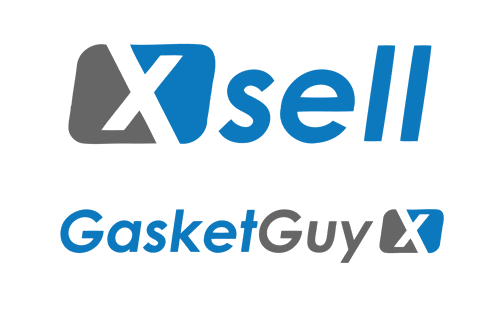 Named Xsell — it was launched on budget and is now generating increased gasket orders in a much more profitable way then previously, which was "pen and paper". ASM Development of Wichita, Kansas had an idea to take a common flat-file QuickBooks import format that is only for QuickBooks Desktop Software and have it auto-magically work with QuickBooks Online. I got it launched on budget and it is on its way to profitability with great reviews on the QuickBooks App Store and is being received wonderfully by accountants. I partnered with Pat McGinley, LLC and Norman Jensen, Inc. to build a next-generation U.S. Customs Brokerage Web application. Livingston International of Toronto, Canada has since acquired Express and the application continues to make high-profits going on ~14 years now. As with everything I do — this app was built on budget. Check out my article specifically about building Minimal Viable Products. We will focus on getting a great MVP out the door on budget. © Minimul LLC — New Hampshire, U.S.A. Looking for the QuickBooks Educational Resource? Go here.